Christmas In The Desert Of Tunisia, Africa. | Travel Photography Blog by Nisa Maier and Ulli Maier. Growing up in Austria, our Christmas’ were always as kitschy as they could get: a (real) fir tree, a yummy Christmas goose and a snowed in house. It’s the kind of Christmas most people dream of. Of course, growing up with the parents I have, I did spend Christmas Eve all around the globe too, yet spending the Holidays under palm trees just isn’t the same … But, a few years ago, when December was really really miserable with lots of rain, we spontaneously decided to spend Christmas somewhere else … somewhere warm. As you all know, ticket prices go through the roof this time of the year, therefore a fly-away holiday was out of question (especially last minute). 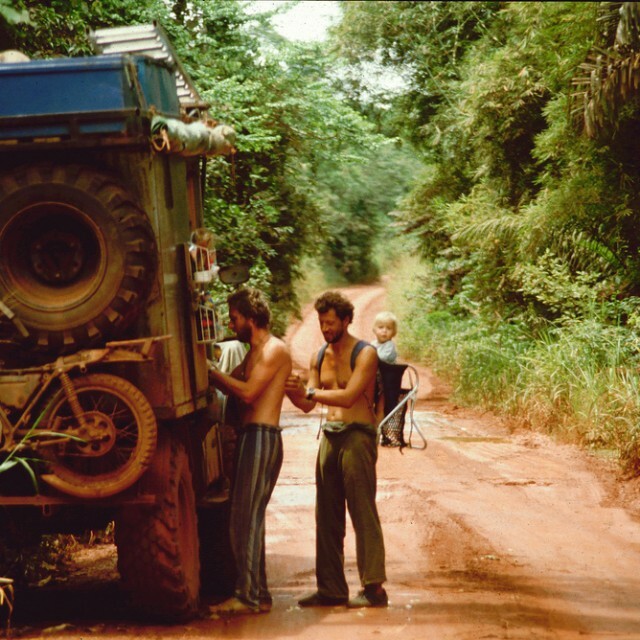 So after scanning the atlas for hours and thinking about our past travels through Africa by truck, we soon came to the conclusion that it was time for one of these adventures again. We checked out some shipping lines and managed to get a ticket on one of the many ferries that ply the Italian-Tunisian routes. Yes, Tunisia was our desired destination; orient, hookah, herbs, culture, nomads, camels & desert here we come! A few days before Christmas Eve we were on our way to Genoa, where the ferry set off. The distance is around 1.000 km from Vienna and it took us 10 hours to get there – sounds pretty long but since we were travelling with our Pinzgauer truck, we couldn’t go faster than 100km/h. The ferry took about 25 hours from Genoa to Tunis, therefore a cabin is advisable. Unfortunately in our case, all cabins were booked already when we bought our ticket, so we took our hammocks and sleeping bags from the truck and started exploring the ship. You’ll find restaurants and bars, as well as enough entertainment, where travellers from all over Europe meet. Most of the tourists travelling by ferry are “off-roaders” because Tunisia by car or truck usually contains heavy off-road driving. Anyway, after a quiet night on the ship, a bright and sunny morning greeted us. Customs was very easy, without the slightest hassle. After all, with so many cars disembarking, customs has to speed up as well. Soon after arrival, we were on our way down South. We wanted to get out of Tunis asap, since driving through the sand dunes was the most fun. Be patient though … if you expect sand dunes right after Tunis, you’ll be disappointed; it takes an entire day of driving until you reach them. We actually planned to drive to Tozeur (an oasis in the South-West of Tunisia) and further on to Douz by crossing the salt lake Chott El Jeridh. 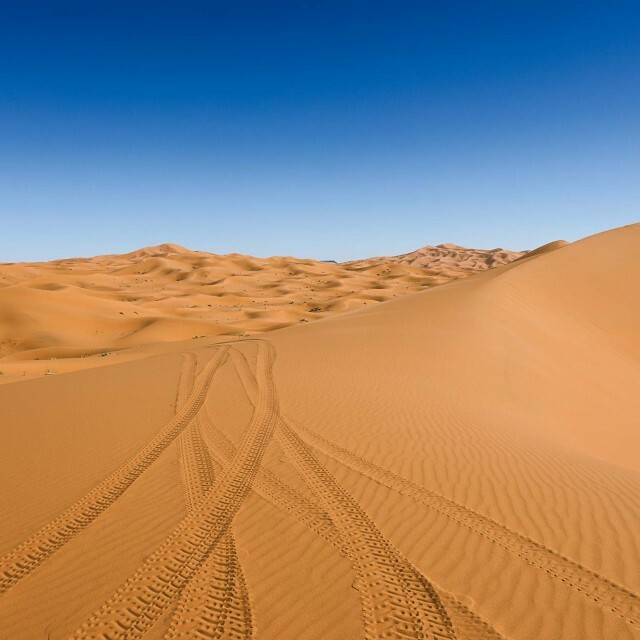 Douz itself is known as the “gateway to the Sahara” and an important starting point for desert explorers. 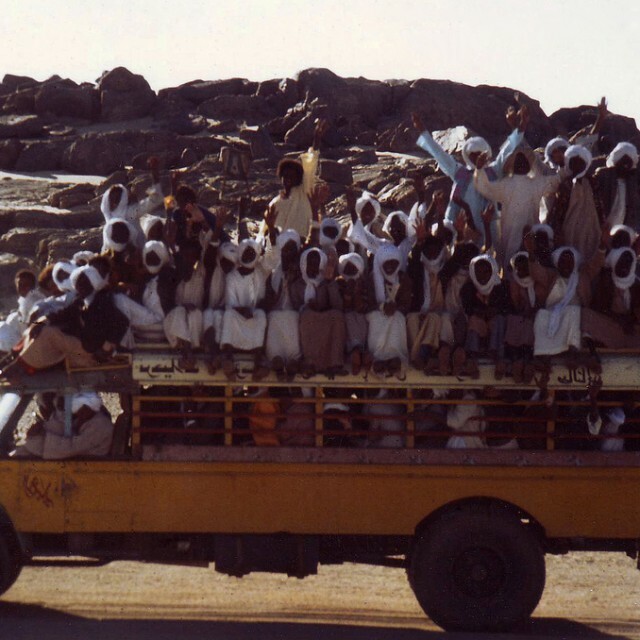 Our desired destination was Ksar Ghilane because you have to cross high sand dunes about 150 km from Douz to get there. 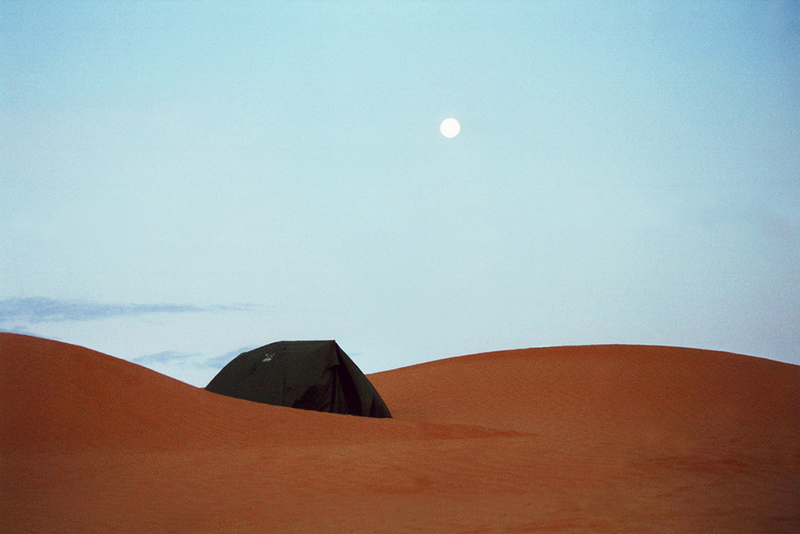 When deciding to cross the Sahara, be sure to have a good compass, a GPS device and a fine map. There’s basically no road, only tracks (that can lead nowhere) and this can get confusing at times. It’s advisable to travel with a second vehicle if you’re not an experienced desert fox (like us haha). As said, some tracks lead to nowhere, so it’s good to check your position every few kilometres to make sure you’re on the right track. We managed to arrive in Ksar Ghilane without any problems (no flat tyre, no sand digging and no unnecessary kilometres) after around 7 hours, just right in time to spend Christmas Eve with some other travellers at the camp ground. A nearby restaurant served delicious Tunisian food and after a few glasses of champagne we set up the hammocks between the cars and slept under the stars. 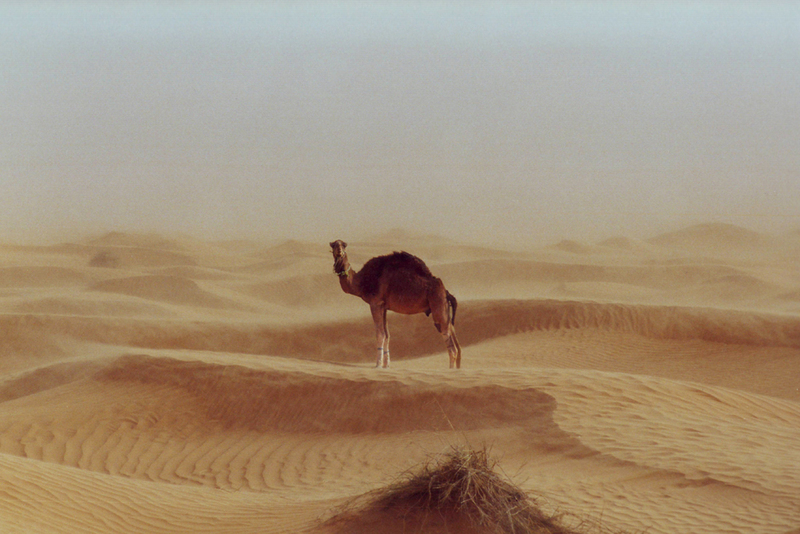 Camels are the lifeline in any desert. 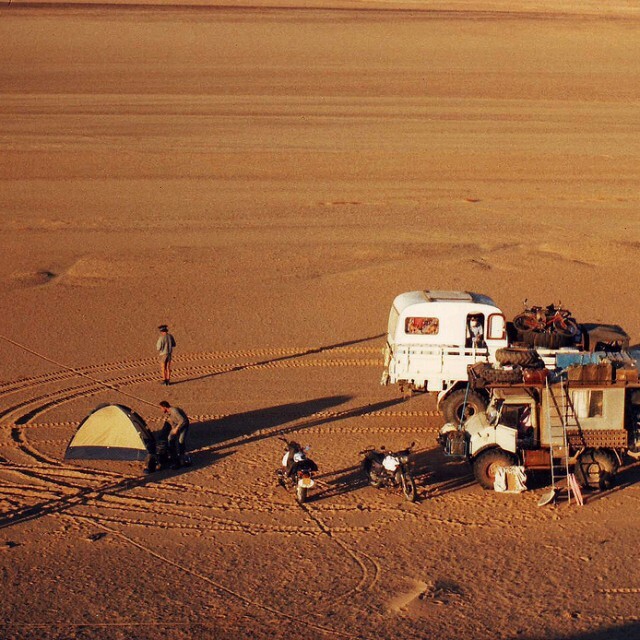 Camping in the desert of Tunisia, Africa. 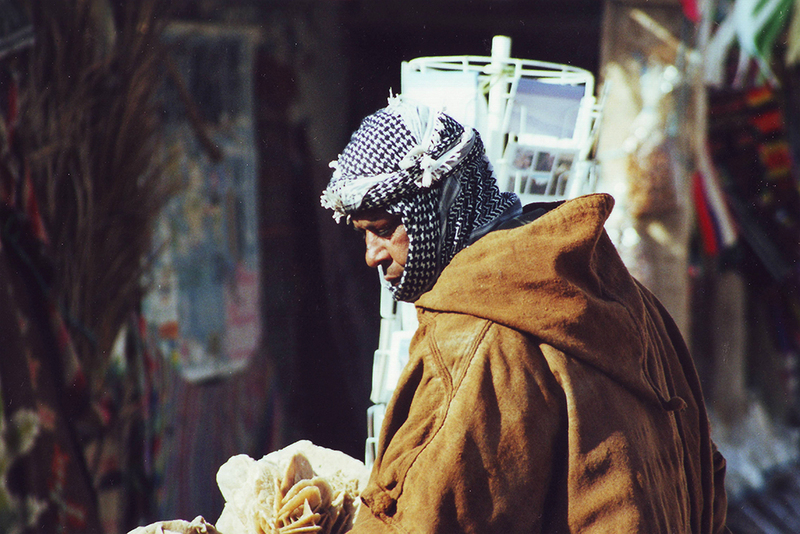 At a market in Tunis, Tunisia. 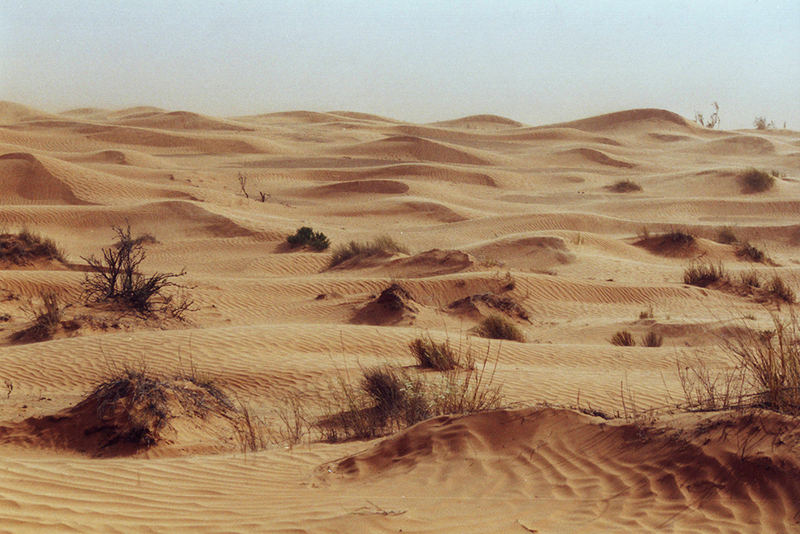 Sand dunes in the desert of Tunisia, Africa. 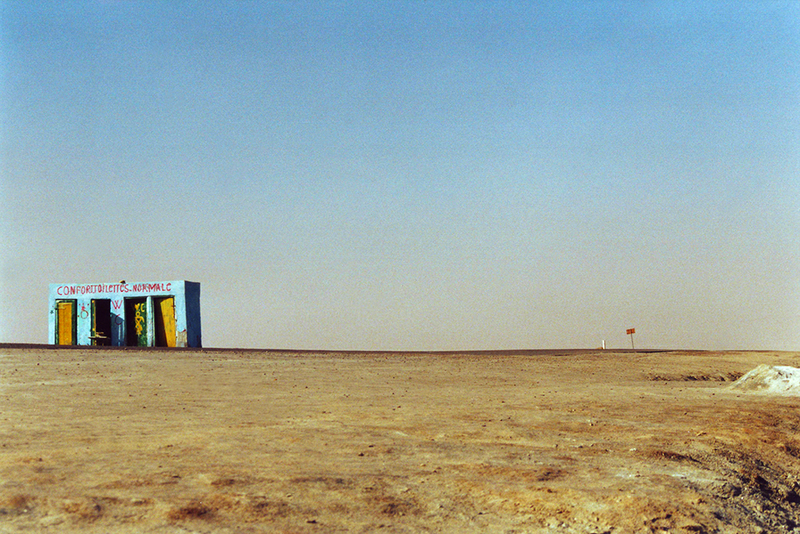 A public toilet in the desert of Tunisia, Africa. 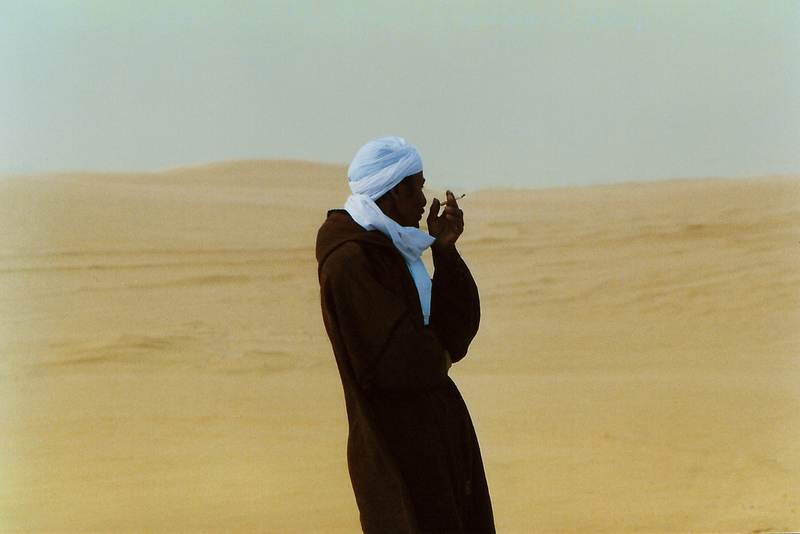 A nomad near Douz in the desert of Tunisia, Africa. 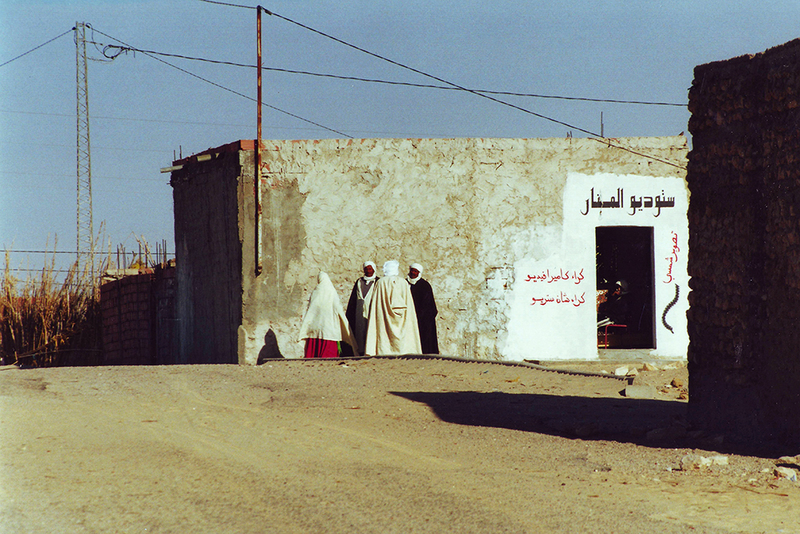 Arriving at the oasis Douz in Tunisia, Africa.